Midtown Miami will soon have its first train station, offering Tri-Rail service. The Florida Department Of Transportation announced this week that they would match local funding for the project, making it fully funded. The other half of funding is being provided by Miami-Dade County and the city of Miami. The demonstration station is to be located at 36th Street, between Midtown Miami and the Design District. 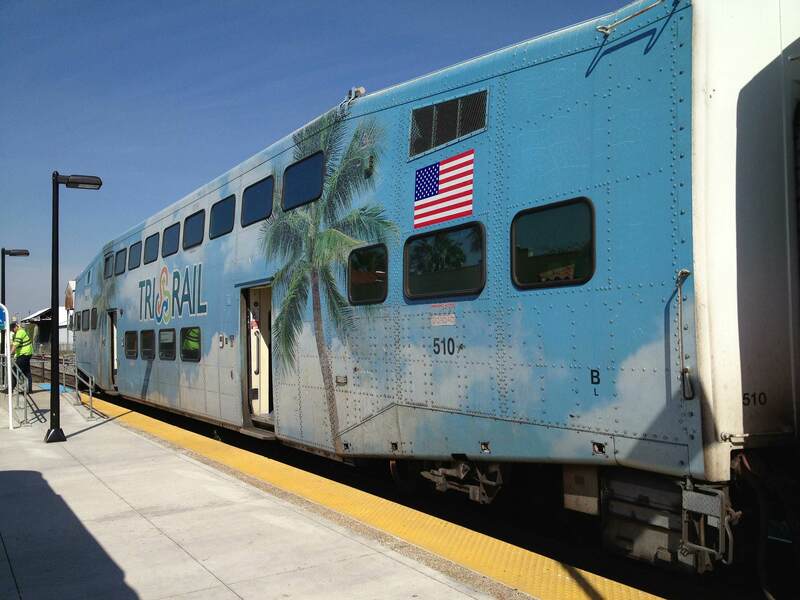 Tri-Rail will offer connections from downtown Miami’s MiamiCentral through Palm Beach County. City trolleys will also stop at the Midtown station. The project will be funded for a duration of three years. If deemed successful, operation will continue. Other areas inside of Miami being studied for Tri-Rail stations include 79th Street. Tri-Rail still doesn’t have an exact date when service will launch into downtown Miami, but it is expected sometime in 2019. 29th Street would be MUCH better. There’s even an empty lot across the tracks from Midtown 29 building. I’m sure they could work something out. That location is much more centrally located for Edgewater, Midtown, and Wynwood. 29th St also has much less of a traffic issue than the disaster that is 36th St/NE 2nd Ave intersection. Which means they will study it to death and then maybe do something in 10 years. You’re overstating what was actually proposed. A lot is in walking distance of the chosen location. Besides the trolleys, 7 bus lines are close by. And so is 36th St., the intersection from hell. As Joe Anonymous wrote above, 29th is the better location. It’s over a mile to the Wynwood Walls and Mana Wynwood. It’s not that convenient. Your opinion is meaningless. They put it there for a reason.. because they’ve done the appropriate studies and deemed it the most optimal location. Why are people so mean> I tell my 11 year old that just b/c your on a screen, doesn’t mean you have to put people down. Relax folks. Hey William, stop being so sensitive. This is only a chat forum. This is great. Now extend the metro mover or metro rail there too. Ultimately, there should be stops at 20th street, 29th street and another one under 195. That would transform the city. A bit redundant when so much of the city is under-served by transit anyway? How could you even have the space to put a Metrorail/mover under I-95? It’ll be just north of 36th in the Design District, not an optimal location in my opinion. A platform more centrally located would service Midtown, Edegewater, Wynwood, and the Design District and avoid the cluster F that the 36th street area is. No one is going to walk from Edgewater to the train station. What worries me is since they are probably not putting it in the most optimal location it will not be as big of a success and then the state deems it a failure and takes away funding. The state would’ve matched the funding for a better located station, too. Your point is immaterial. As someone else has said, if you put this “demonstration” station in a bad location, usage/ridership will be low and the state will be less likely to find additional stations or continue funding the midtown one. This location is such a terrible idea. Just build the damn Coastal Link already! Where is our 163rd Street or even (at least) Avenutra station that was promised & proposed for the North Miami Beach area?! FIU biscayne campus needs one too. Give it another 10-15 years. More studies need to be done. This line will not pass by there. This is an extension of the existing western tri-rail line from the MetroRail Transfer station East/South into Downtown. It turns South around 71st. The Aventura Station would be for the Coastal Link (completely different proposal). Is this just gonna be a two station route for now? Or is it going to connect to the tri rail line out west until the coastal link is built? No. It will just sit there and let you be productive while it goes nowhere. Half of Tri-Rail trains will go to downtown station once service starts. Midtown station will be on that route. Ideally north bound platform would be north of 36th, south bound south side. That could allow crossing guards to be up while train is in the station. They did this with SunRail at Church Street in Downtown Orlando. MAJOR bad idea! People act bad, drivers act worse. Are they going to remove those idiotic palm trees on the train? One can only hope. And another thing, stop painting the Metromover trains, please!